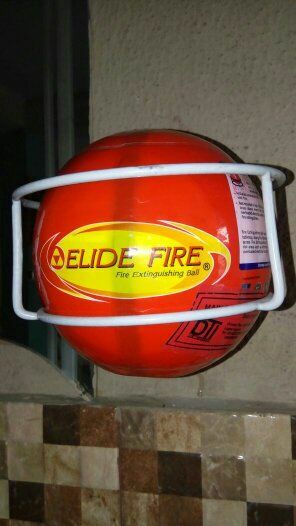 We are happy to introduce to you the Elide Automatic fire extinguisher ball a very simple and fast way to extinguish fire. Elide fire extinguisher self-activates when it comes in contact with fire and gives a loud noise as a fire alarm. - You don't need to learn how to use it. - It is not bulky and heavy, this makes it very easy to target the source of the fire. - You do not need to get close to the fire and therefore and don't stand the risk of been exposed to smoke and heat. It's safe to use ,transport and store. Because of this it can be used in many fire-prone areas such as above electrical circuit breakers, Kitchen, Libraries, computer rooms, or rooms with heavy equipment that emit a large amount of heat, filling stations, cars, offices, schools and where a large volume of information is stored. 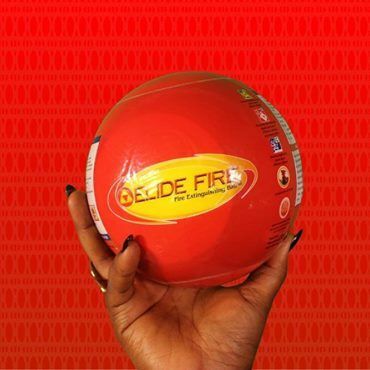 It can last for 5years with no inspection, It is internationally approved by the international standards Organization (ISO, Federal Fire Service , Lagos state Govt, Kano state Govt, etc.